glaring mistake: the elevation was with effect from July 1, 2013. 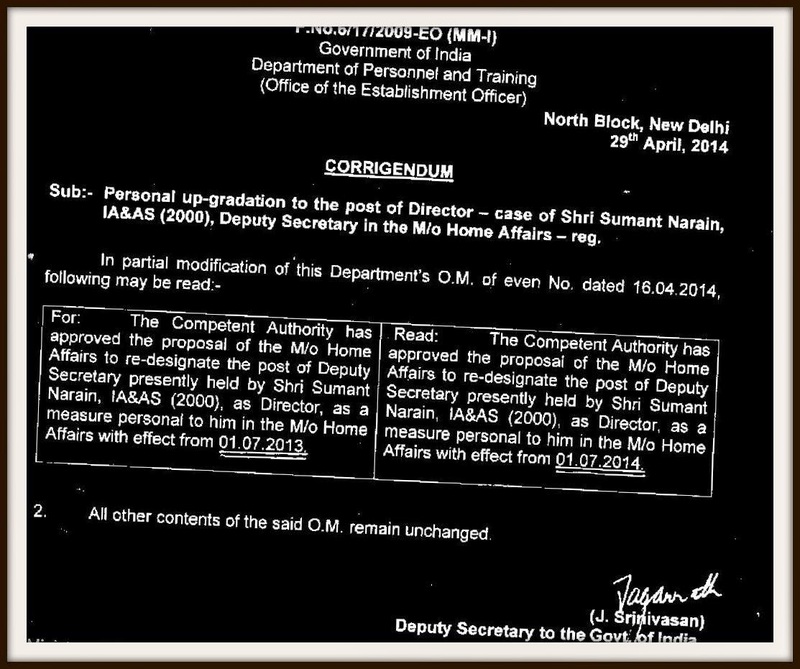 In fact, the department had to issue a corrigendum to clarify that MHA deputy secretary Narain’s re-designation as a director in the same ministry would actually be with effect from July 1, 2014, and not July 1, 2013, as was stated in the earlier order. Should such a mistake occur in the first place when such orders go through a number of official layers before those are duly signed by fairly senior officers? In a few ACC appointment orders in the past, Indian Forest Service officers by mistake were shown as Indian Foreign Service officers. Is it not ridiculous to call someone a Karnataka cadre or Kerala cadre Indian Foreign Service officer? In January last year, West Bengal cadre IAS officer Hem Kumar Pande, then working as additional secretary in the ministry of environment and forests, had to become 10 years junior to his batch-mates, at least in government papers, thanks to a mistake committed by DoPT. In the ACC order dated January 28, 2013 signed by a joint secretary level officer and posted in its official website, this 1982 batch IAS officer named Hem Kumar Pande was mistakenly shown as a 1992 batch IAS! 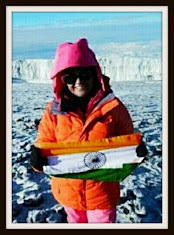 And the copies of the order (with the mistake in it) were sent among others to principal secretary to PM Pulok Chatterji, environment secretary V Rajagopalan and joint secretary in the cabinet secretariat Nivedita Shukla Verma. DoPT mistakes are not just a negligence but also very ridiculous for the government. It should be enlisted in the hall of shame. in tamil it is called "MOTTAI KAIYEZHUTHU" meaning sigining without seeing!